LEICESTER, UK, March 25, 2014 (ENS) – Phasing traffic lights according to air pollution rates at the scale of a European city district could soon become a reality. But first, the complexity of air pollution models must be mastered. Poor air quality costs Europe more than €700 million a year in health expenditures and loss of economic performance, according to official EU sources. To tackle this major issue, the EU-funded MACC-II [Monitoring atmospheric composition and climate] research project, due to be fully operational later this year, aims to deliver accurate air quality predictions across Europe. Soon, these predictions could be used in traffic management. Scientists have developed iTRAQ, a dynamic traffic management system for optimizing use of the road network to achieve high standards of air quality in urban areas. Its objective is to operate at the scale of a city district or even at the level of a main street. To achieve this goal, the system relies on both traffic information and on MACC-II data. “iTRAQ will deliver traffic strategies two or three hours ahead,” says Roland Leigh, a researcher with the air quality group of the Department of Physics and Astronomy at England’s University of Leicester, a MACC-II partner. “MACC-II is critical for this purpose, as it provides incoming data that we use to constrain our air pollution models at a smaller scale and for hourly forecasts,” he said. Traffic control strategies consist in changing the phasing of traffic lights, speeding up or slowing down their frequency. “If necessary, we can withhold the traffic in a well-vented area, whilst allowing free-flowing in a [congested] street, in order to reduce the accumulation of pollution,” Leigh said. The iTRAQ feasibility study has been completed and field tests could be conducted within two or three years. The system is based on predictions from MACC-II data on the atmospheric level of nitrogen oxides, irritant gases affecting the respiratory tract. Future solutions will include predictions of other harmful pollutants such as ground-level ozone and aerosols. 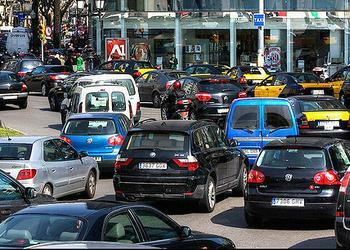 However desirable, such a system might be difficult to implement, some traffic analysts say. “I see the complexity of modeling both traffic and air quality at small scales as the main obstacle for this project,” says Gabriel Jodar, of Jodar + partners, a Swiss consultancy specialized in urban planning. His company advised the Spanish municipality of Barcelona on implementing traffic management solutions in response to high pollution rates. 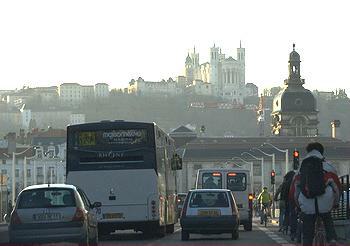 By contrast, a city like Lyon, France has chosen to reduce traffic levels with roadwork amenities and cycle paths. MACC-II is a collaborative project (2011-2014) funded by the European Union under the 7th Framework Programme. It is coordinated by the European Centre for Medium-Range Weather Forecasts and operated by a 36-member consortium.